The Diocese of Harrisburg recently announced the 2019 Golden Apple Award winners. Ms. Nancy Duffy, our English Department Chair, was named as one of the 7 winners. A full press release will be distributed next week. The awardees will be recognized at the annual Golden Apple Dinner on May 7, 2019. Join us for our annual Spring Open House on Sun., April 7 from 1-3 p.m. The Spring Open House is an excellent opportunity to meet and speak with some of our students and faculty members, sports coaches and activities directors. We will be holding our Fourth Annual Scholarship Competition for 8th grade students. There is a choice of a jeopardy-style competition or essay competition. The jeopardy competition is full, but please register on the Delone Catholic web site under Quick Links/Parents or by clicking here if you plan to have your son or daughter participate in the essay-style scholarship competition. Any questions can be directed to Mrs. Jennifer Hart. We look forward to sharing some of the wonderful aspects of our Delone Catholic school and community with your family. Freedom Landscapes has generously donated an American Elm Tree to b e planted in memory of Tommy Laudani. Tommy was an employee of Freedom Landscapes and worked very hard even while battling cancer. Below is a picture of what the tree will look like when it is fully grown. The tree will be planted on Friday, March 29 at 3 p.m. in the upper corner (by the visitors' entrance on Delone Avenue) of J.T. Flaherty field. There will be a small service and all are welcome to attend. Delone Catholic's Mini-THON is Friday, April 5-6. Parent volunteers are needed throughout the evening. There are many time slots available. If you are able to chaperone during the evening, please complete this sign-up sheet and send it to Doctora Brown or e-mail it to her at cbrown@delonecatholic.org. Thank you in advance for your support of this worthwhile event. Delone Catholic is sponsoring its First Annual DCHS Creative Writing Contest. Submit your original, unpublished work to the Insquire Spring Issue by April 15 and you will automatically be eligible for the creative writing contest. The submission may be either fiction, poetry or creative nonfiction. The top three contest winners will receive gift cards (a $50 gift card is the top prize), and the submission will be archived in the Delone Catholic HS Library. Students may submit their work to either Mrs. Girroir, a member of the Insquire staff or to Mr. Fournie in the Library. Click here for the submission guidelines or visit Delone Catholic's web site. Time: Doors open at 5:30 p.m. and dinner will be served at 6:30 p.m.
- Open bar -- Cocktail hour starts at 5:30 p.m. and dinner will be served at 6:30 p.m.
Delone Catholic High School, Attn: DCMA/Kim Lowrie, 140 S. Oxford Avenue, McSherrystown, PA 17344. Your tickets will be distributed within two weeks of receiving your payment. If you have any questions, please contact: Kim Lowrie (240) 217-7570 or kimmerslow@gmail.com OR Tammy Richardson (410) 346-6885 or tami.lyn29@verizon.net . For a copy of the mulch order form, click here. The 2019-20 FACTS Tuition Assistance Application is available on the school website under Admissions/Affordability or by clicking on this link. There is a $30 application fee and the application deadline is April 15, 2019. Delone Catholic High School is pleased to announce the launch of our newest after school activity, The Golden Gloves Conditioning Club. The Golden Gloves Conditioning Club is a non-contact, physical conditioning workout which incorporates boxing principles. This new activity will challenge participants to more fully achieve the Mission of Delone Catholic and better become 'Doers of the Word' by increasing their physical stamina and improving their overall health. The club will have it's first session on Tues., March 19 at 4 p.m. in the Old Gym. The Golden Gloves Conditioning Club is open to all students and staff of Delone Catholic. This waiver and release form are required to participate in this activity. We are accepting orders for the 2018-19 Delonian Yearbook. The cost for the yearbook is $79 or $85 with a name imprint. Orders MUST be received by Mar. 11, 2019 to guarantee a yearbook. Yearbooks can also be purchased on-line using Herff Jone's website www.YearbookOrderCenter.com and selecting Delone Catholic or using order number 4186 or by submitting this form and payment. Remember, all students are welcome to sell $400 worth of ads to order a FREE yearbook, and advertising forms can be found in the Main Office or by seeing Miss Sneeringer in Room 18. Forms are also available on the school web site ( www.DeloneCatholic.org) under Quick Links/Parents/Delonian Yearbook. Delone Catholic High School Student Council will be hosting its annual "Delone in the Dark Nights" for students in sixth and seventh grades. There will be games, food, prizes and the popular scavenger hunt in the dark. The students will be making their own pizza using various toppings. This event is open to any sixth or seventh grade student. Students do not have to attend a Catholic school to participate. We encourage your student to attend and bring their friends. To register, please click here for the forms. Extra forms are available on the Delone Catholic web site under Quick Links and Parents ( www.delonecatholic.org) or can be picked up in the Main Office. The girls' night will be held on Friday, March 29 and the boys' night will be held on Friday, April 12. Students are to be dropped off in the lobby using the student parking lot next to the Lawrence B. (Sonny) Sehppard, Jr. Memorial Gynmasium at 6 p.m. and picked up at 10 p.m. Please contact Mrs. Lori Heberling with any questions. Delone Catholic HS is accepting admission applications for new students for the upcoming school year. 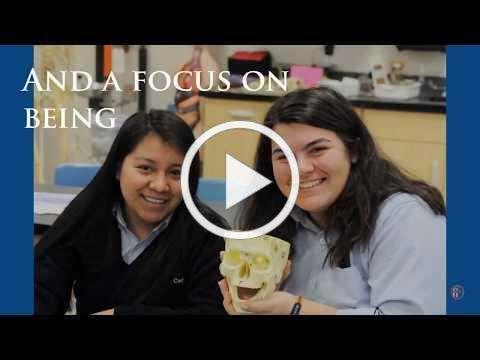 Delone Catholic has much to offer high school students, and we are excited to tell you all about it. We offer personal school tours, Squire shadow days and Welcome Wednesdays from 9 -11 a.m. Please contact Mrs. Jennifer Hart , Director of Marketing and Admissions to schedule a tour, shadow day or to get more information on our curriculum, programs and services. The 2019-20 New Student Admissions Application is available by clicking here. Juniors and Seniors have received copies of the Parent/Student/Guest Dresscode Agreement in homeroom. Before signing the agreement, please review with your student and/or their guest the Formal Dances (Prom) Dress Code. You can access this information by clicking here, or by visiting the web site under the Parents Quick Links tab, Policies and Procedures, Dress Code. The completed form is due to the class moderator by April 15. Senior parents are reminded that all student obligations must be paid in full by April 15 in order for your child to attend prom and participate in senior activities. Please see page 58 in the Student Handbook for further information. Summer is for LEARNING and SERVICE and there are some great local opportunities for both. Many deadlines are this month! 4. Harrisburg University - weeklong day camps for high school students including Lego engineering, hydroponics, video game design, food and nutrition, nanotechnology and drones! If you are interested in being a host family for an International student next year, please contact Richard McGovern at Twinn Palms to get an application started. Thank you to everyone who has contributed to the Delone Catholic Fund in 2018-19! Your gift is already at work helping our students grow in faith, knowledge and experience. Click here to find out how you can help us get to our $210,000 goal. The 26th-Annual Henny Noel Memorial Golf Tournament is being held on Saturday , June 8 at Cedar Ridge Golf Course, Gettysburg Pa. with a 9 a.m. shotgun start. Highlight your business with a sponsorship package or register a foursome for the tournament. Click here for a copy of the registration and sponsorship form. This golf tournament is named in honor of Henny Noel '46, beloved Delone Catholic Director of Maintenance from 1958-1993. In accordance with the wishes of the Noel family, all proceeds from the tournament are used to provide tuition assistance to families that need it, so that all students can reap the benefits of a Delone Catholic education. Come out and be a part of an ever-improving event that has raised over $75,000 in the past five years! For the full details, visit www.delonecatholic.org/dynamicscrip or talk to a current Delone Catholic student. Made for More has transformed the lives of many individuals. Don't miss your chance to be included! Join us for an evening that will unfold the blessings that await when we more fully understand God's plan for us. More information and tickets for this event are available at http://www.corproject.com/harrisburg. Buy them as a gift for family, friends and loved ones. Experiencing this transformation is the best gift you could ever give them! Tuesday April 2, 7- 9:30 p.m. Please see this video for a glimpse of what we can expect on April 2. During Lent, our community will participate in CRS Rice Bowl, a faith-in-action program that invites us to encounter the needs of the world with the hope of the Resurrection. In Uganda, we encounter Annet and her family, children forced to flee violence, searching for stability. How are we called to welcome the stranger in our midst? How can you support those worldwide who are forced to flee their homes to find safety or better opportunities? Visit crsricebowl.org for more. The deadline for submitting Works of Mercy service hours for graduating seniors is 3 p.m. on March 22, 2019. After this time, the number of uncompleted service hours will double. Please contact Mrs. Kate Phenicie or visit www.DeloneCatholic.org under Spiritual Life for more information and opportunities to earn Works of Mercy service hours. Men of the Diocese of Harrisburg and beyond...the Diocesan Men's Conference is Saturday, April 6, 2019, at Bishop McDevitt High School. The theme is Men Called to be Saints. The Keynote Speaker is Dr. John Bergsma, noted Catholic author, speaker, Bible expert, and theology professor at Franciscan University of Steubenville. The title of his keynote address is "The Top 3 Reasons I Became Catholic and Always Will Be: Perspectives from a Former Protestant Pastor." The conference includes more than 40 workshops, a blue-ribbon panel of speakers, adoration of the Blessed Sacrament with benediction, opportunity for Confession, beautiful music, good food, numerous Catholic vendors, Mass with Bishop Gainer as Principal Celebrant and Homilist, and fellowship with up to 1,000 men from around the Diocese of Harrisburg and beyond. Each of the past two years we have had 1,000 men attend this conference. We expect another large crowd this year. Please register now at https://www.hbgdiocese.org/event/mens-conference. We'd love to see you at the Men's Conference on April 6! Every Friday, the Mary, Queen of Peace Chapel is open for Adoration of the Blessed Sacrament, and our students would like to use that time to pray for your intentions. Please use this form to submit any intentions that you have so that a student can choose an intention to pray for specifically during their time at Adoration. One pillar of the SportsLeader program is a weekly virtue that we incorporate into our athletic practices and throughout our school community. Every week, we will share them here to encourage the students to take the virtue into their homes as well! Our virtue theme this week is that of CLASS - The strength to control one's feelings seeking the good of others especially after victory and defeat is our virtue this week. This is a tough virtue to live, especially in moments of severe disappointment. Sports is a great classroom for life and this virtue is essential for all of us. "This is my Chosen Son; listen to him!" If in your listening to the Lord you are sensing the invitation to follow Christ as a priest, deacon, sister, or brother, talk to Fr. Morelli, Mrs. Phenicie, or Fr. Brian Wayne, Director of Vocations, at 717-657-4804, frbwayne@hbgdiocese.org or check out www.diocesanpriest.com . All proceeds from the sale of this spirit wear will go towards the purchase of new equipment for the Delone Catholic weight room. To print this flyer, click here. Come and support the girls' softball team by visiting MOD Pizza on Sunday, March 31 from 10:30 a.m. to 9 p.m. When you mention the DC Softball team, 20% of your meal's price will be donated to the team. The girls are raising money to purchase new equipment and uniforms. There is no flyer, but you can "Commit to Eat" by clicking here or just remember to mention the team when you pay for your meal. The Delone Dash has been renamed to the Tommy Laudani Delone Dash in honor of our courageous alumnus who lost his battle with cancer in 2018. Come out and run the home course of Delone Catholic's Cross Country Team on the beautiful trails of Codorus State Park. 100% of profits will go to three great groups. 60% to The Tommy Laudani A.C.E. Award. A.C.E- stands for Accepting the Challenge of Excellence; 20% to Runners with a Reason XC Camp, and 20% Delone Catholic Athletic Association. For a copy of the flyer, registration form, sponsorship opportunities and release waiver, please click here. Saturday, March 23rd, 2019 at The Gotwalt Hall at St. Vincent DePaul Parish in Hanover from 6-10 p.m. Dinner will be served at 7 p.m. Your $40.00 donation includes various appetizers, pit beef, steamed shrimp, sides, desserts and beverages. There will be music, door prizes, raffles, jars and a corn-hole tournament. No one under 21 will be admitted. For more Information or to purchase tickets please contact Rose Kadis at 443-485-7458 or rmk4121@aol.com . Delone Catholic is currently accepting applications for an Assistant Cross Country Coach. Please send a cover letter and resume to the Athletic Director at tbonitz@delonecatholic.org or 140 S. Oxford Ave., McSherrystown, Pa. 17344 . Delone Catholic is currently accepting applications for an Assistant Baseball Coach. Please send a cover letter and resume to the Athletic Director at tbonitz@delonecatholic.org or 140 S. Oxford Ave., McSherrystown, Pa. 17344 . A complete schedule of sporting events, times and locations can be found at ArbiterLive.com or under the Athletics tab on www.DeloneCatholic.org. To find out "What is A Night at the Races," click here. Any high school students wishing to volunteer for this event should email Kristy Allen at kristyallendesign@outlook.com for more information. To print this flyer, click here. Spring is in the air. With spring often comes severe weather such as thunderstorms and strong winds. The March ReadyPA Monthly provides information on severe weather preparedness. Did you know March is American Red Cross Month? Help the Red Cross by uncovering your inner hero and participating in one of the activities listed in the newsletter. After an extremely cold and wet winter, now is the time talk about flood safety. The National Weather Service has declared March 25th through the 29th as Flood Safety Awareness Week. The State Meteorologist has provided tips on remaining safe during a flood. The March Action Sheet provides information on Winter Weather Flooding Risks. Remember, Turn Around, Don't Drown. Girls Who Code, a leading national non-profit with the mission to close the gender gap in technology, offers a free Summer Immersion Program at leading tech companies in cities nationwide, giving girls an opportunity to gain exposure to computer science skills and careers. Girls Who Code offers its inaugural program this summer in Philadelphia at PwC. Girls Who Code encourages all eligible 10th and 11th grade girls to apply now. The Summer Immersion Program is a free 7-week full time non-residential program during weekdays in the summer. The program offers up to a $1,400 stipend for eligible girls. The application deadline is March 15th. The easy online application can be found at www.girlswhocode.com/SIPapply . No GPA, references or computer science background are required to apply. The only ineligible girls are those who have taken AP Computer Science already. The program gives the girls exposure to the incredible field of computer science careers, the opportunity to gain a valuable look at work at top tech companies gaining mentorship and opening doors for future career development. Sisterhood and friendship are emphasized as well. Questions can be addressed at summerimmersion@girlswhocode.com . Contact Eve Balick at eve.balick@girlswhocode.com. For some FAQs and additional information, click here. The Byrnes Health Education Center and the Lincoln Intermediate Unit are partnering to offer a FREE and meaningful opportunity for parents. The flyer below announces Community Nights being offered to parents to come learn about pressures and situations children may be facing with drugs and resources for support. within the traditions and teachings of the Roman Catholic Church. to "Be Doers of the Word."